The run-up to Russian President Vladimir Putin visit was muted, but he has made his intention clear on how he wants to do business in India. The big question now is will American President Barack Obama be able to top Putin’s visit. In his press conference, Putin made all the right strategic noises and promised to follow up on key aspects. Russia needs India as a consumer of its gas and India needs energy to fuel its requirements. 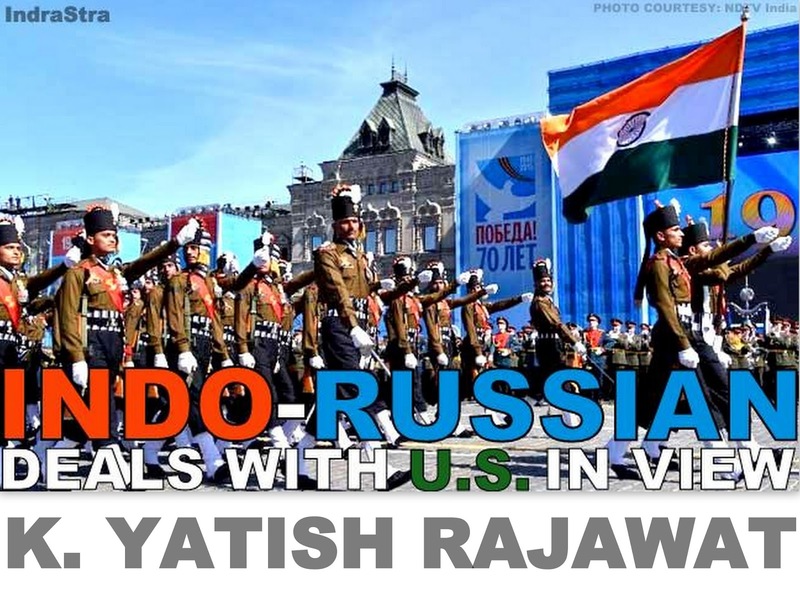 There is a stark difference between the US’s approach to India and Russia’s. While the former is more business-centric, the Russian President couched his references in a win-win statement. The two countries have had very long defence relationships. The major suppliers of arms to India in 2009–13 were Russia (accounting for 75 percent of imports) and the US (7 percent), which for the first time became the second largest arms supplier to India, as per SIPRI’s data released in March 2014. The new government has cleared defence deals worth Rs 80,000 crores, and some of them are being signed with the US and European country. This diversification by India has been followed by Russia’s offer to supply Mi-35 Hind Attack helicopters to Pakistan. Putin ducked the question on developing ties with Pakistan and becoming an arms supplier to that country, saying the ‘transformation’ is taking place with India. “As I have already noted… a gradual transition from the traditional producer-consumer model to joint development and production of advanced weapons systems. We already have examples of such effective cooperation, by which I mean the production of high-precision up-to-date BrahMos missiles and creation of a multifunctional fifth-generation fighter aircraft,” Putin said. If Russia is indeed serious about joint development, then it goes very well with the new government’s thrust on ‘Make in India’. This will help create jobs in India, which should be the underlying objective of every defence contracts. To trump this, the US president will have to come up with something similar or better. Russia has already signed a 30-year contract with China for supplying gas, so it is not just Indian market that the Russians are exploring. The energy lobby within Putin’s coterie is as strong as military industrial lobby and is known to bypass the political machinery to strike deals. But India has its own requirements that cannot be fulfilled by coal or West Asia oil. Putin ruled out a pipeline from Russia to India, a dream that has been floated several times to de-risk India’s dependence on West Asia. Putin stressed that natural gas supplies to India needs much more study. “A preliminary analysis has shown that the cost of pipeline transportation may significantly exceed that of liquefied natural gas supplies. So this is largely the question of commercial feasibility,” he said. Besides, a pipeline also means investment by Russian companies which are currently starved for funding as European credit has dried up. Again, a pipeline once established means that supply has to be maintained to recover its cost, and this takes away the negotiating power for the regime. A long-term agreement on LNG supplies was signed between Gazprom Group and India's GAIL in 2012 to deliver of 2.5 million tonnes of shipments a year for 20 years. “India will start receiving LNG shipments as early as in 2017, or, in case the deadlines are shifted, by all means no later than in 2021,” Putin has promised. After a long delay due to agitations supported by European NGOs, Kudankulam nuclear power plant was connected to the power grid in October 2013. A second unit is getting ready. “Nuclear energy cooperation is one of the pillars of our strategic partnership,” Putin said. It is interesting he stressed this in his press conference as the Congress regime looked at the US as its strategic partner for nuclear energy. Erstwhile prime minister Manmohan Singh was even willing to let the government fall if Parliament did not ratify the pact with the US. The agreement was signed but nothing much has happened as US companies are wary of liabilities clauses. Most people do not know but Fukushima nuclear plant disaster was as much a failure of US technology as it was of Japanese. General Electric, EBASCO, Toshiba and Hitachi — are all defendants in Fukushima disaster. This is because the reactors for Units 1, 2 and 6 were supplied by General Electric, those for Units 3 and 5 by Toshiba, and Unit 4 by Hitachi. General Electric, however, designed all six reactors, and the architectural plans were done by EBASCO. Allaying the fears, Putin said Kudankulam unit is the world's only nuclear power plant that meets all the "post-Fukushima" safety requirements. He also promised that Russia has the capacity to build 25 nuclear plants in India. After the disaster in Japan, construction of nuclear plants has been slowed down all across Asia. Of course, US companies have become wary of clauses that put long term liabilities on them. Russian firms maybe the only choice for India going forward. Obama is unlikely to promise anything much beyond words on the nuclear front, until India agrees to revise its clauses. India’s trade with Russia has been shrinking and is down to $10 billion dollars. Putin hinted at the possibility of a free trade agreement between the two countries. More interestingly he suggested a payment mechanism in national currencies – one broadly structured around barter agreement that existed during the Communist Cold War era. Though recreating that system may be impossible, the Russian president seems to be suggesting moving away from the dollar to de-risk the trade between the two countries. This could be an interesting approach for an FTA and could be a model for other FTAs too.